When it's time for a lifestyle, you will find that in Belize you are not separate and apart as an ex-pat, but rather can become part of the community in which you live. When it's time for you to purchase real estate for investment or retirement, don't gamble- consider the security of doing business in a country with English as it's official language- the contracts you sign are in English, and you will be subject to laws you can understand. The right opportunity may mean a motivated seller. It may mean a developer who is pulling out all the stops to woo buyers. It may mean a breaking, first-in opportunity. And it will always mean a great property. There are several points which you should keep in mind when searching for a Belize Property. Compile and log details about each property. For instance, become conversant with Belizean construction materials and architectural styles. Make checklists and take lots of photos. We provide a daily list of " Real Estate Market in Belize " to facilitate your finding the perfect property in Belize. Every day, at a specific time, our computerized system searches through all the properties listed in the past 24 hours in Belize. We review each and every one of these listings to find the Best Buys in Belize Real Estate. We can customize this list to fit your specific price range and desired location/s. This service will help you zero in on prospective properties in Belize that match your criteria. 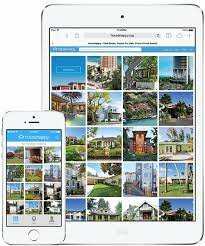 Remember, this is a FREE service that will save you the time and hassle of searching for properties like these. Your search for a property in Belize should begin with a trusted and proven real estate specialist who resides there, and understands the needs of a buyer new to the area and those of vested sellers. Our team at RE/MAX Property Center are those specialists for the Belize real estate market. With offices located in 30 Burns Ave, San Ignacio, District of Cayo, Belize, Central America the RE/MAX Property Center team can meet all your property requirements for a family home, vacation or investment property. RE/MAX Property Center sales representatives have assisted countless clients, many new to Belize and current residents already enjoying the lifestyle. We are more than a Real Estate Company, we assist in property development and other international investments. On our site you will find a great deal of useful information for those thinking about Buying property in Belize . We act primarily as a buyer's agent and we co-broker real estate transactions with all other reputable real estate agents in Belize. We have a wide diversity of properties and homes at the lowest prices available in the country. We can make your dreams and wishes of owning real estate in paradise a reality at a price you can afford. Are you interested in the real estate, asset protection and tax saving opportunities that exist in Belize? If so, then Buy Belize is the perfect partner to guide you through the process of investing and owning property in this exotic and exciting part of the world. Buy Belize is Belize's RE/MAX Property Center offering a comprehensive list of professional services specifically designed to assist investors with all their real estate, financial and asset protection needs. Another reason for Belize's popularity is its politically stability... politics, in fact, is a national pastime here. Remember, the country is only 30 years old and the population is small. It's easy to run into your political representatives on the street and share your opinions with them. And in Belize, everyone has a good-natured opinion about politics! Belize Real Estate is the naturalists' paradise with its incredible old growth rain forests, flor and fauna, rivers, cave systems and ancient Mayan ruins and pyramids. Belize is where Mayan and modern culture blend. Tropic Real Estate is your "Belize Connection" in purchasing property in paradise. We maintain that personal touch from your initial contact through the title transfer of your new property. Working closely with the land office, local surveyors and attorneys who specialize in real estate, we research all properties to insure clear title prior to proceeding with any transaction.